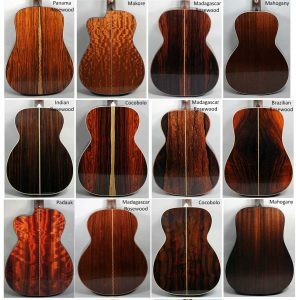 Here’s a quick photo collage we put together showing instruments currently in stock from Bourgeois Guitars – as seen from the back. Clearly Bourgeois enjoys building these instruments, and we enjoy seeing them come through our shop. Woods used in the sides and backs of guitars aren’t there just to be pretty, but it’s a fun bonus when they are. Characteristics of wood grain and density add a great deal to the tonal qualities of the instrument. Pretty much anytime you change any spec when building an instrument, you affect how it responds. Still, when the wood is gorgeous to look at…. 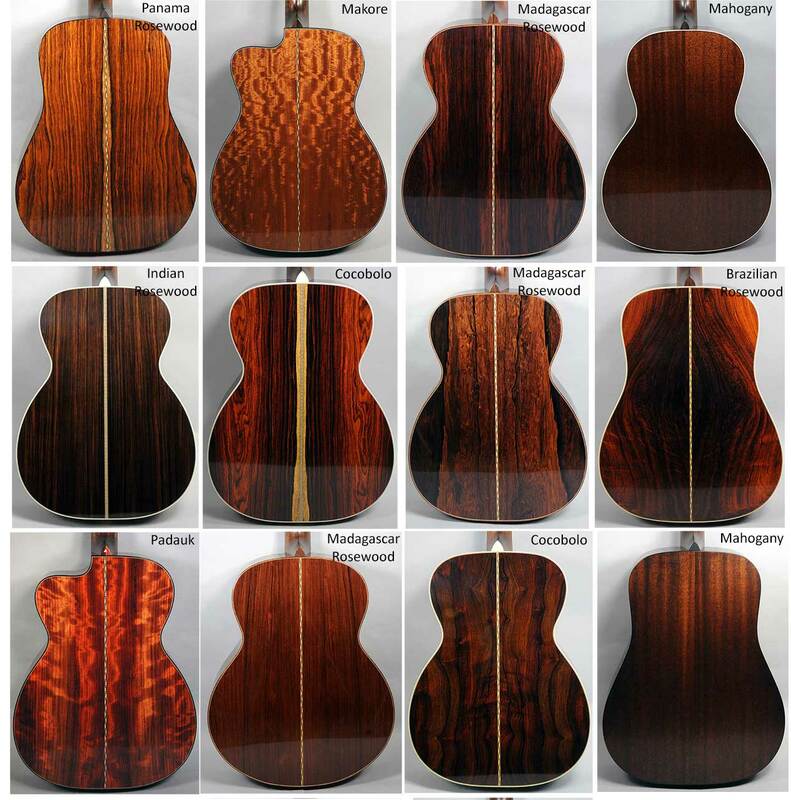 Woods include Cocobolo, Madagascar Rosewood, Padauk, Brazilian Rosewood, Panama Rosewood, Makore, Mahogany, and Indian Rosewood. We also have a used Bourgeois with Peruvian Rosewood available.